Golden Jubilee Saturdays at Absinthe! If you’re looking for a good spot to catch the fireworks display this year, Absinthe is the place to be! 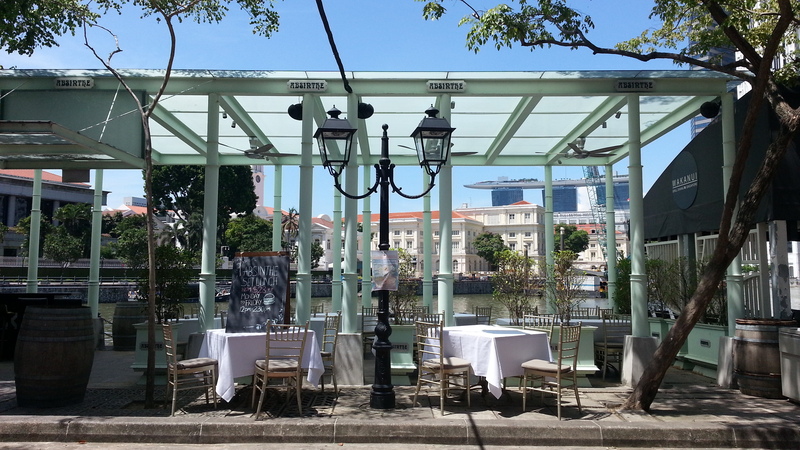 Located along the Singapore River, you will enjoy a clear view of the fireworks display from the outdoor terrace! If you’re around the area at 4:30pm, you’ll be able to catch a glimpse of the parachuters making their jumps. As dinner begins at 5:30pm, look to the skies for the aerial display. The much anticipated fireworks show will begin at 8pm, and what better way to enjoy it than with a glass of Rosé in hand? 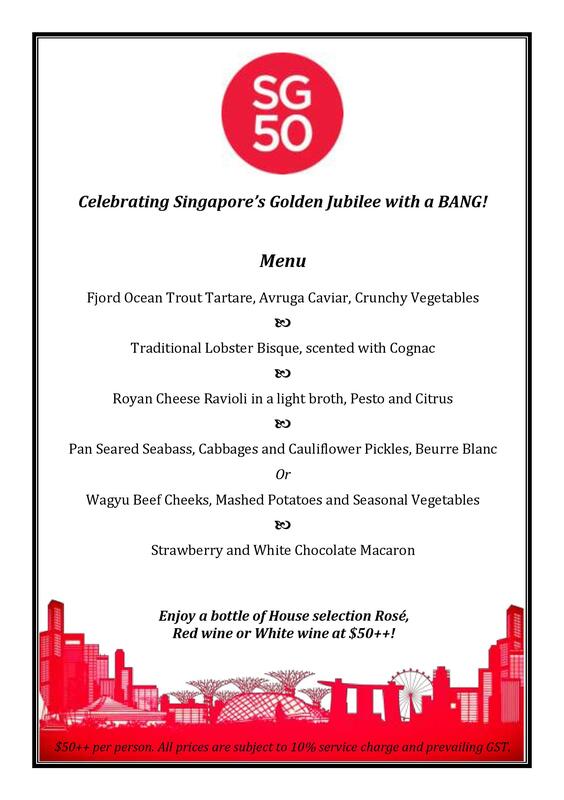 We have put together an exclusive 5-course celebratory set dinner menu at $50++! The following menu will be available on Saturdays leading up to National Day, 11th, 18th, and 25th of July and the 1st of August 2015.